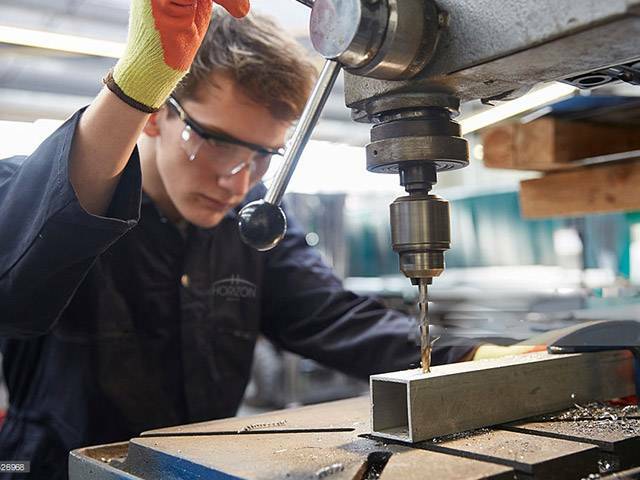 Our fabrication facility, located in the heart of West Yorkshire manufacturing and engineering heartland, is where our highly skilled team transform the vision of architects and specifiers into tangible, engineered products. The layout of the facility mirrors the workflow that our products take as they are created from raw materials to finished products. The first area is the raw product store. 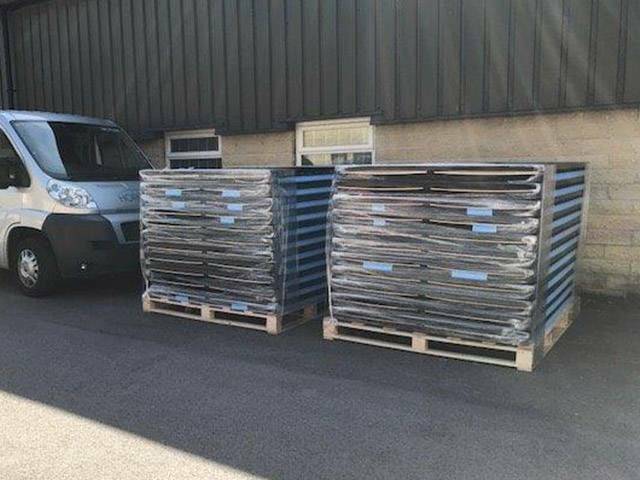 We work closely with suppliers such as aluminium and steel stockholders to provide us with a just in time supply of material. 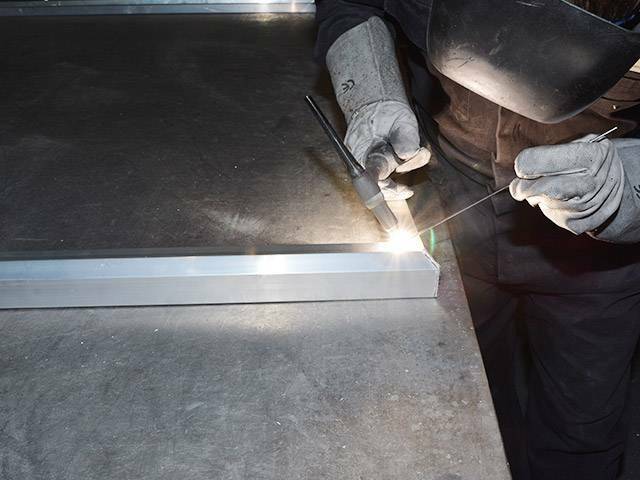 As bespoke fabricators we dont restrict clients designs to preset sizes, so for all products the raw materials are then cut to the required lengths in line with the product design. From here the team use our wealth of experience to fabricate the required product which is then skillfully sanded and linished to remove imperfections and create seamless, rigid, robust joins. The product then crosses over to the powder coating team who meticulously clean and treat the products before passing them through the powder coating process and finishing oven. 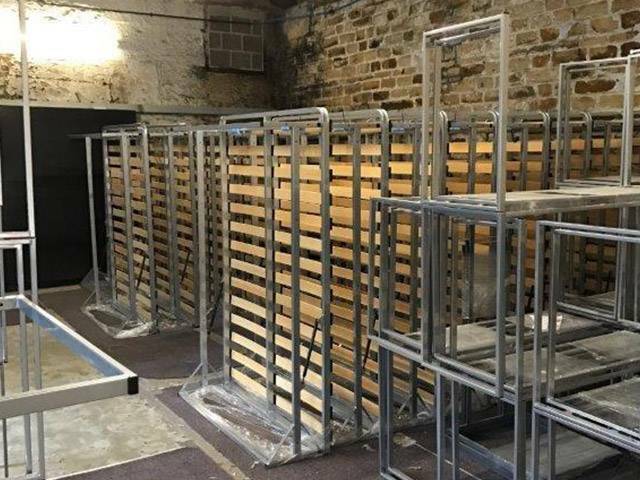 The skeleton product will then cross to the despatch team where additional items such as felt backing, polycarbonate windows or pinboards will be added. Any mechanical parts such as hinges or pneumatic arms are added by skilled technicians before the product is quality checked. The completed product is then packaged as required before being marked for despatch and sent to the customer.